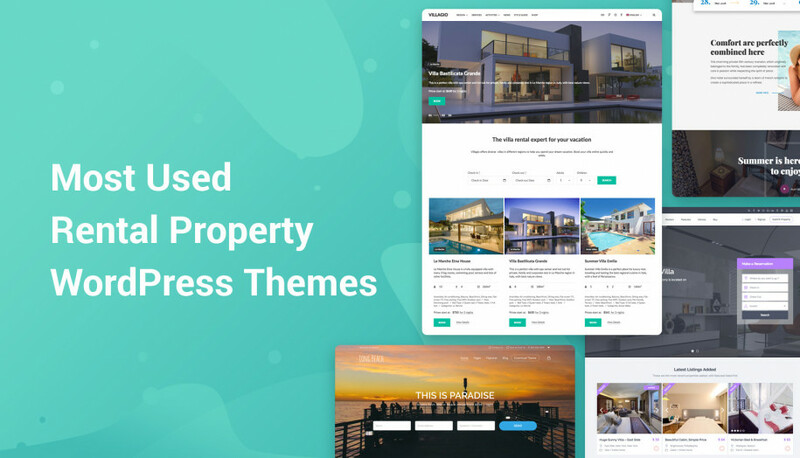 Jetpack is an all-in-one WordPress plugin by one of the most knowledgeable and trustworthy teams in the industry – Automattic, WordPress creators. This fact alone means a lot. For those unfamiliar, I should clarify that the plugin was created for WordPress.com users, who exist in their own .com environment and rely on .com developers only. But the plugin became so popular that Automattic developers made it available for all wordpress.org self-hosted websites as well. Put another way, the “all-inclusive” functionality, optimization, analytics, and marketing plugin, created by first-class WordPress professionals, is available for all wordpress.org users. By the way, it offers a lot of options that are free as in beer. Why have we actually started this talk? There is a reason: we had to find several cool widgets for our future WordPress theme. And we stopped our choice on Jetpack. As for why, that will take some time to explain. We had a chance to look at it with fresh eyes in today’s WordPress realities of jetpack-bloats-or-improves-your-site discurs and want to share all pros and cons with you. But at first, let me tell you a story. 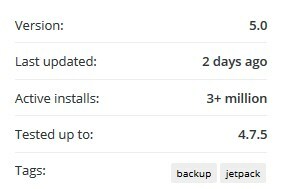 As someone familiar with code happening on the .org repository, I honestly consider Jetpack plugin as a chance to take advantage of the product that was born in a wordpress.com world. Exactly – a chance. An opportunity to use a powerful .com solution on a self-hosted .org website. After some testing I realized that I was right: the plugin meets lots of my expectations. On the .org repository, Jetpack is like a real movie among spaghetti westerns. Top key factors that made me feel so are: brand, trust, and quality. It’s already clear about the brand. The other things follow. While I’m writing this post, the WordPress repo says that the plugin was “updated 2 days ago”. Just look at the numbers. Several days ago I’ve also received a notification about Jetpack 5.0: Spring Clean, where they tell about recent improvements: more secure and robust code, better compatibility with third-party plugins, with WordPress 4.8, and some other pleasant things. All this gives you a very important feeling of being in good hands. You can only imagine how many resources are put into the product development. Yes, I won’t deny that Jetpack plugin is heavy (it’s equipped with so many modules), so another practice is widely advised across the net: to use different plugins for different purposes. This makes sense, too. But if you need a lot of different functionality, are you sure that you’ll find all alternatives of the same good quality? Having all needed functions in one plugin is always less hassle. One more thing, updating one plugin is always easier than expecting for updates from ten or twenty different plugins. Also, there is more risk that individual plugins can be abandoned and not supported one day. What’s more, I think that a well thought-out toolkit of content modules is a kind of “hint” for WordPress beginners: a default toolkit “suggests” what instruments are important for a WordPress website. For example, not every WordPress newbie will think about image optimization or website ownership verification for the search engines. So, with Jetpack, non-tech one-person businesses can easier focus on business goals rather than spending hours on reading WordPress blogs like this one. But you can actually enable only those modules you need not overloading your site with unneeded functionality. Jetpack allows that. Moreover, there are a couple of ways to enable just some particular modules using a free plugin even without connection to WordPress.com server. For example, Development Mode option. It doesn’t require connection to WordPress.com servers and can be activated on a localhost WordPress installation. You can work in this mode by adding define( ‘JETPACK_DEV_DEBUG’, true ); to your wp-config.php file or enable it through the plugin. If activated, the plugin management is pretty easy (because lots of options are simply disabled and don’t require a connection to WordPress.com servers). The dev mode allows you to use several good options like Testimonials module, Portfolios, lightbox for galleries, sharing buttons and some others. I especially like the lightbox feature (Carousel), because it allows site visitors to see the details and leave comments under individual images that are previewed in a lightbox slideshow. What’s not perfect about Testimonials, is actually that you have to add them yourself via WordPress dashboard – so this is more like a promotion stuff (not real testimonials in site visitors’ eyes). Of course, you can add links to real testimonials to make them sound more real. This is not the issue with Jetpack, actually, but rather with the current marketing standards. Well, demand creates its own supply. The alternative way to use only some chosen Jetpack modules is installing the free WordPress plugins like Module Control for Jetpack that gives you more control over Jetpack modules. For example, you can remove unneeded modules, allow activation without wordpress.com connection, etc. I did not test it, but looks like it works as it’s supposed to. A full free version is not bad, too. 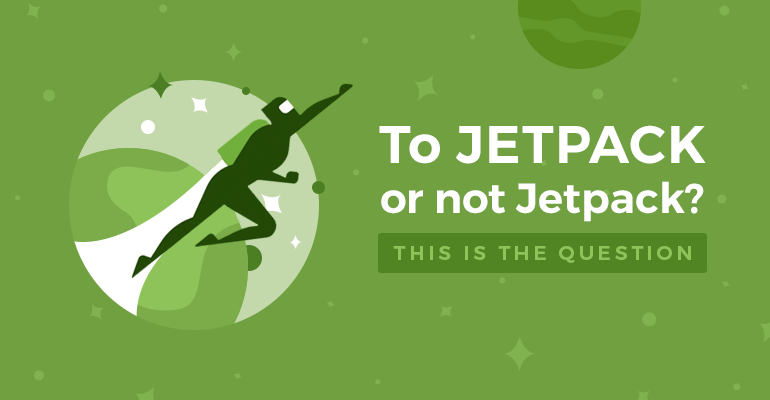 Especially if you just start building a site and the amount of info about marketing, optimization, functionality plugins is simply driving you crazy, free Jetpack is a quality starting point in this case. The list of modules is changing and more likely you’ll see new ones soon. Over time you’ll see that the site cannot be perfect on all levels with a help of one plugin only, but Jetpack can be your good friend while you are just diving in. I’m sure this is also a good choice for developers who want to add some specific tool or a couple of tools to clients’ websites. 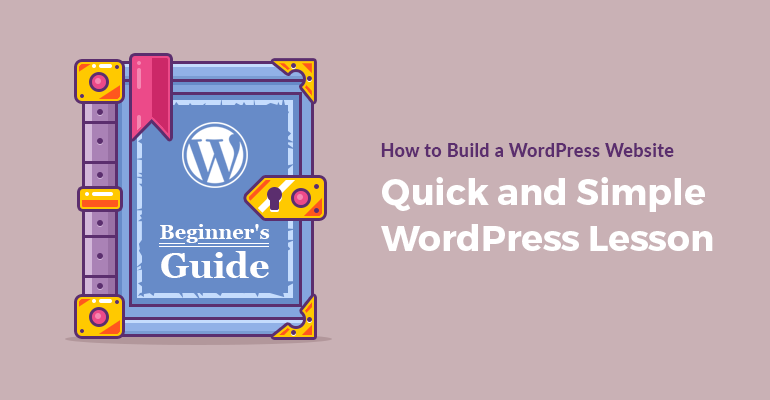 As you might see, there are tons of basic options for any WordPress website: statistics, automatic social sharing via Publicize, content optimization, SEO tools, writing enhancement tools, lots of useful widgets, and much more. Evaluating my personal experience with Jetpack, I’d definitely recommend it, but only to people who find more pluses than minuses for their particular projects. Actually, here is the list of those pros and cons I managed to create. 1. Lots of useful and professional content modules, where unneeded ones can be switched off. 2. A great starting point for people who don’t know much about WordPress. 4. One plugin is easier updated than many different ones. 5. Your content is not lost if you change the theme. 6. A plugin from top-class WordPress developers: technically safe, visually stunning. 8. Handy, well-categorized user interface. 9. You can add so many cool quality stuff to your site still being in a free mode. 10. WordPress.com account is also very rich, so you can control your .org site from its dashboard as well. 11. One site and WordPress multi-site compatible. 2. Quite a heavy plugin; some users report problems with website performance. But usually there is no proof that Jetpack is the only reason. On contrary, some database processes are less intensive in Jetpack. Here is more fresh stats if you are interested. 4. You or your clients might not like the feeling of “being forced” to be connected to WordPress.com. 6. The number of “Upgrade” buttons may be frustrating for users. However, this is a standard practice to charge for advanced options. 7. You may experience (or may not) conflicts with other plugins and themes, but this this is a usual thing in the imperfect tech world. To sum it up, my quick and probably obvious recommendation would be: if it serves your WordPress needs, Jetpack is undoubtedly one of the best WordPress plugins out there. And I’m sure it’s a great tool for WordPress users of all calibres. It solves lots of problems for non-tech WordPress newbies. For developers, Jetpack is a professional plugin to include into clients’ websites to run any specific functionality. 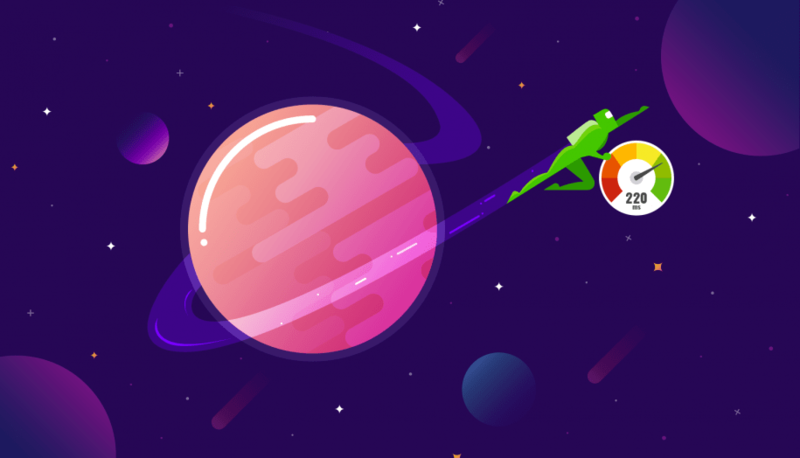 You may download a free Jetpack for WordPress version and connect it to your WordPress website, use without connection, or even start with a paid plan if you need more options. I hope your enjoyed this quick write-up from the MotoPress dev stage. If there is something you’d like to know our answer to or you just want to share experience, use the comments field below.